Got cardboard? We're sure you do! Grab a few of those old boxes and get to work on one of these ingenious, MacGyver-worthy projects. Without cardboard boxes, what would the world be like? At times, it seems like cardboard is nearly as ubiquitous—and as essential to life—as the air that we breathe. Most people recycle these heavy-duty paper containers without thinking twice about their countless hidden uses. It’s amazing what creative people are capable of doing when they think—not outside the box, but about the potential of the box itself. For five of our favorite DIY cardboard project ideas, scroll down. Consider the blood, sweat, and tears of moving furniture up and down stairs. The prospect is daunting enough to make you reconsider purchasing that heavy new wooden dresser. Fortunately, there’s a low-hassle and unexpectedly stylish alternative: making your own storage piece, for next to no money, with cardboard and duct tape! 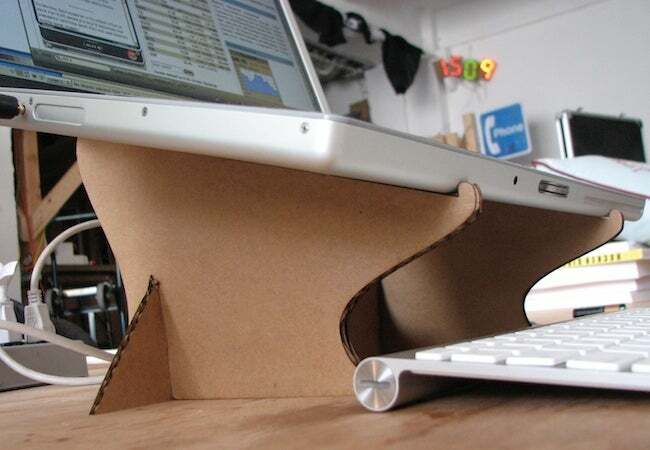 If hunching over the keyboard leaves you with poor posture and a strained neck, then here’s a DIY cardboard project your chiropractor would approve of—a laptop stand. 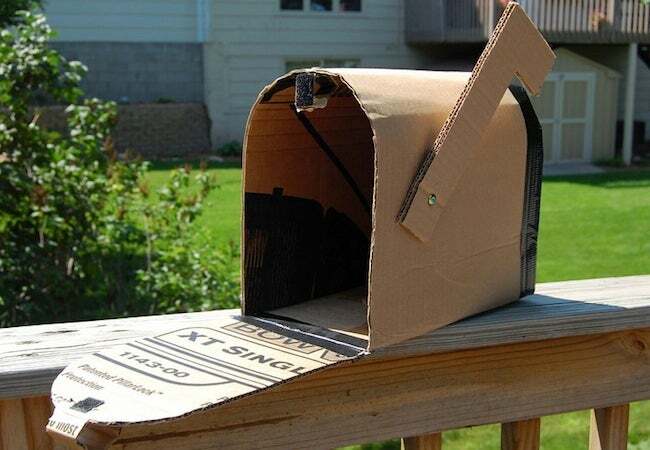 Making one from cardboard is even easier than using Windows! All it takes is a cut here and a snip there, plus a little bit of glue and adhesive tape. When you craft a shade out of cardboard, the design possibilities are endless, but the required tools are few. 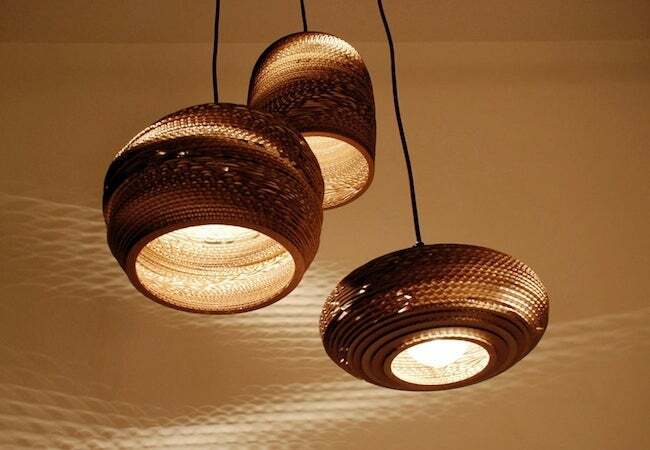 With nothing more than adhesive (tape or glue) and a pair of scissors, you can light up your life with a low-cost, fully customized pendant or chandelier similar to this one, for sale from Graypants in Seattle. 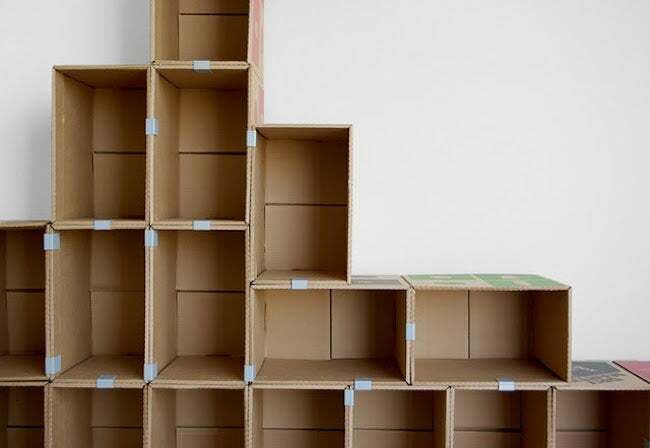 This DIY cardboard project may not be the most practical one in the group, but it proves beyond doubt the range and versatility of this commonly available, too often underutilized material. To make your own mailbox like this, you don’t need training as a blacksmith, only some contents from your paper recycling bin. If you have a smartphone or tablet that plays video, then believe it or not, you can instantly turn any room of your house into an improvised movie theater. Start with a cardboard box that completely closes up. 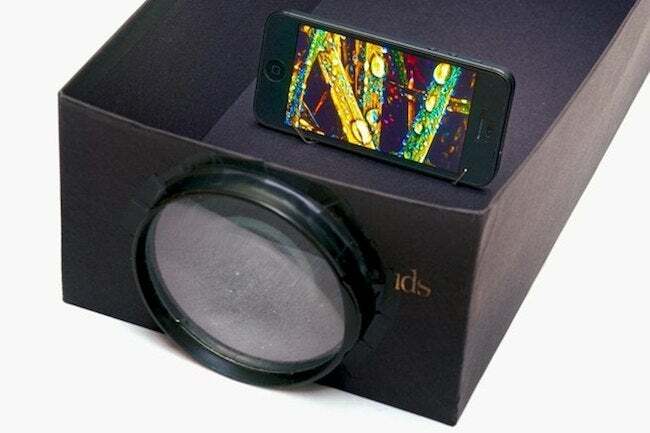 Attach a magnifying glass to the box, then bend a paper clip into a stand for your device. That’s it—now start the show!